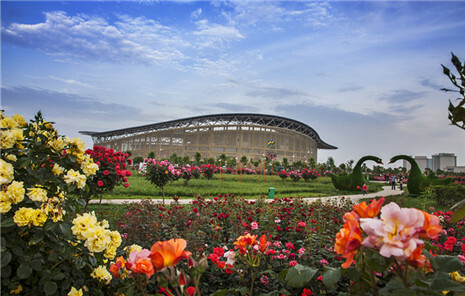 The center covers an area of 100 mu (6.67 hectares) and received 1.04 billion yuan ($154.8 million) in investment. It is expected to generate one billion yuan in sales and have an annual tax revenue of 300 million yuan. Tongbai, China's "capital of trona ore", boasts the world's third largest trona reserves and offers abundant raw materials for the local chemical engineering industry. As a large-scale production project, the center will adhere to a circular development model by recycling chemical waste and developing by-products to reduce pollution as much as possible. The 40,0000-ton baking soda production center is one of the county's most significant green development projects. This year, Tongbai will also be concentrating on a chain of key projects receiving a total of 27.03 billion yuan in investment. Construction is beginning on 44 new projects, 42 projects are currently underway, and 17 projects are in the planning stage.